Nerbraska Game and Parks biologist and former Fort Calhoun elementary student Lindsey Chizinski holds a net with Nebraska game fish. 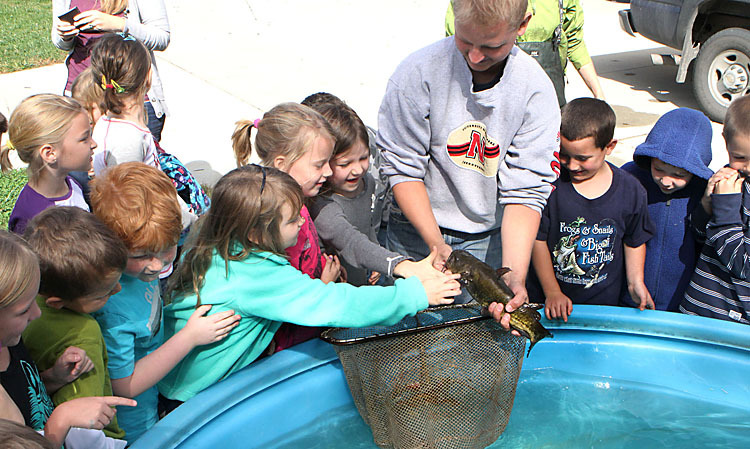 Fort Calhoun elementary school students and staff are ‘Hooked on Learning’, and last week they were hooked on learning about fish. 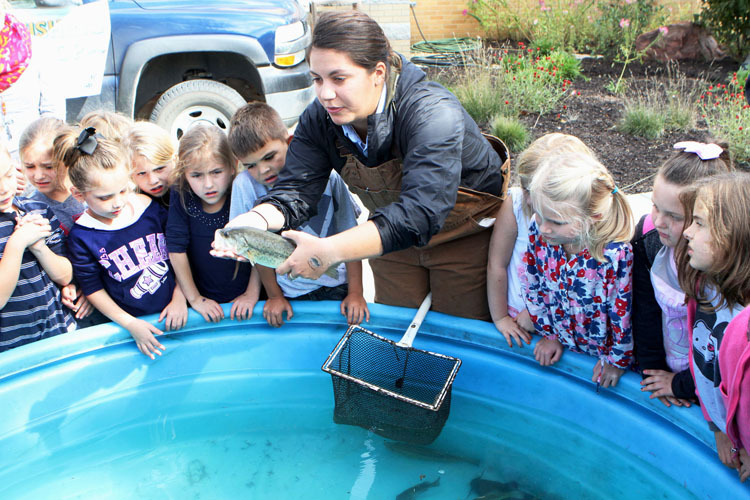 Nebraska Game and Parks biologists Lindsey Chizinski, Tori Mullins and Matthew Gruntorad visited the campus last week and set up a tank filled with recently captured Nebraska game fish for the students to view. Earlier in the day, Lindsey Chizinski talked about growing up and attending elementary school in Fort Calhoun. She told the students about how her school work and school activties as well as her hobbies and interests in the outdoors led to the job she loves, which is working as a fish biologist for Nebraska Game and Parks. Biologist Tori Mullins holds open the mouth of a large mouth bass. 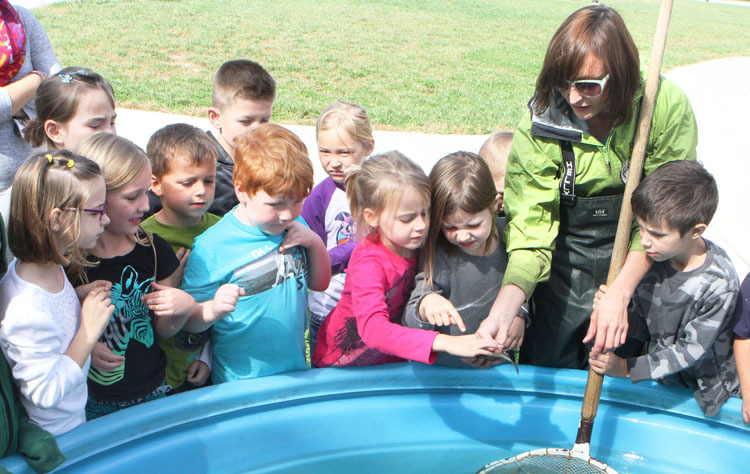 Fort Calhoun first grade students touch the smooth flesh of a catfish that Game and Parks biologist Matthew Gruntorad holds. .